What's new for our 3D active glasses? 3D Vision Glasses hold approximately 40-hours of gaming per full charge. Then you can get perfect quality images. High permeability rate to ensure perfect quality, millisecond response time are unlikely to cause eye fatigue. Frequency: 120HZ, Please check your 3D projector setting, high Frequency for prefect quality image. Automatic POWER OFF function: When 3D projector is powered off or not synchronized with 3D signal,3D glasses will be AUTO powered off after 30 seconds. Frames with ABS+PC material, products low energy, low carbon and environmental protection. 3D Glasses type: Active shutter glasses. Display compatibility:3D HDTV, Blu-ray players. Battery Type: 3.7V/60mAh rechargeable lithium-ion. Battery life: About 40 hours. Charge time: About 2 hours. Dimension: 165 × 40 × 165 mm. Environment temperature: 0 °C - 40 °C. Relative Humidity: 20% - 80%. Atmospheric pressure: 86 kPa - 106 kPa. 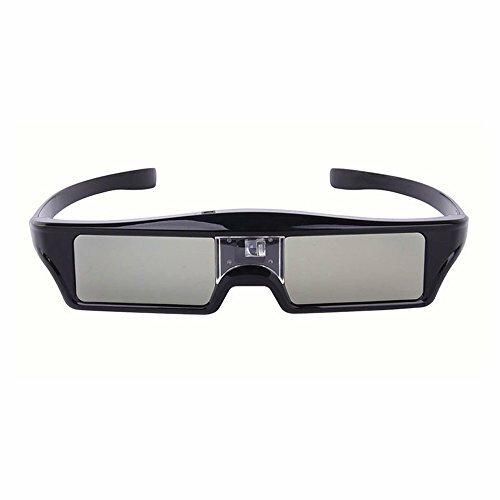 Universal 3D glasses, suitable for all 3D TV and Epson projector with bluetooth/RF 3D communication protocol. Work for all 2011, 2012, 2013 ,2014 and 2015 Samsung D, E , ES, F ,H and HU ,JU,JS series 3D TV . Work for all Panasonic and SONY TV that require Bluetooth/RF 3D glasses. Chargeable and once charge can be use for 40 hours. 2 years warranty if you have any question pls contact service@nierbo.com thanks! If you have any questions about this product by NIERBO, contact us by completing and submitting the form below. If you are looking for a specif part number, please include it with your message.